Hello, lovelies! 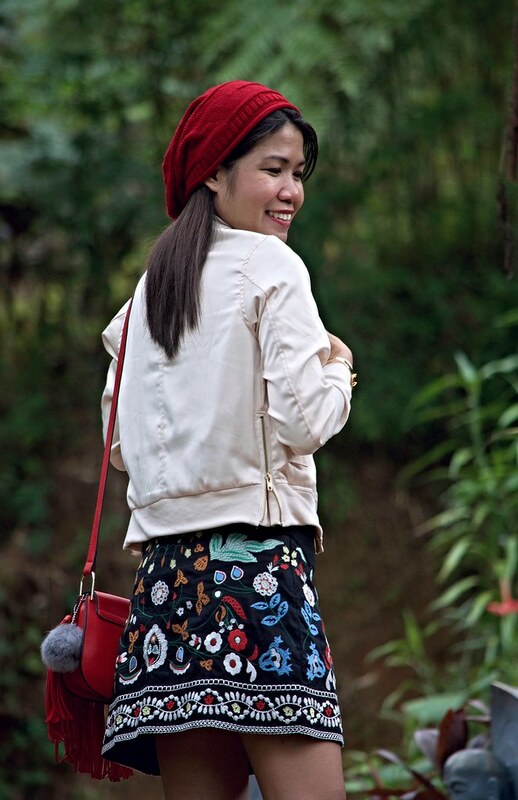 This is my last installment of outfit posts that we shoot in Baguio City. 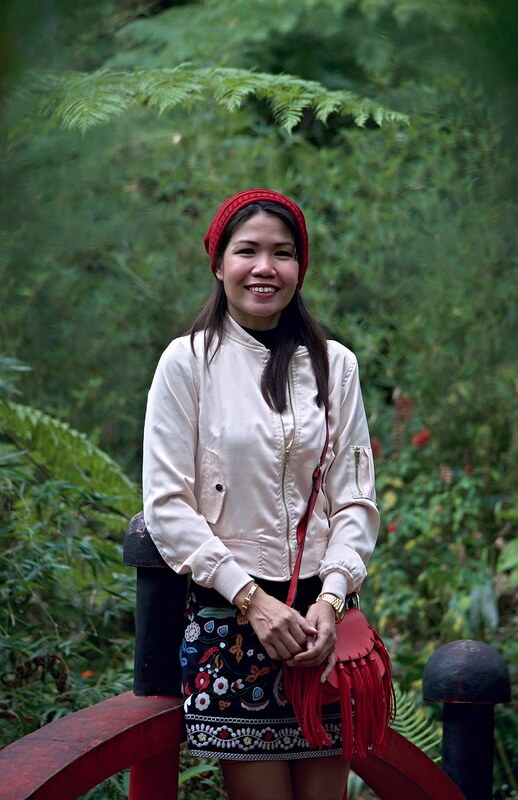 I guess I'll be missing the pine trees backdrop on my photos then. 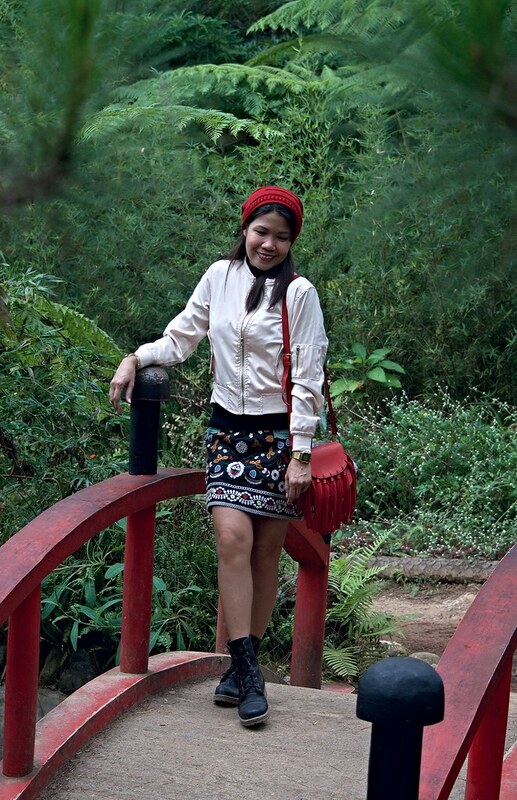 On our last day in the City of Pines, we explored once again the Botanical Garden and for the very first time, we tried on wearing the traditional Ifugao costume. 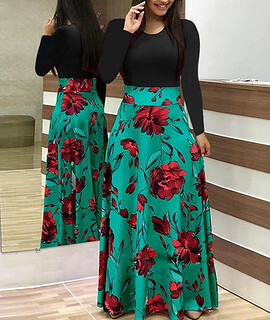 Should I know how fun wearing it and how we look great on it, we could have done it a long time. 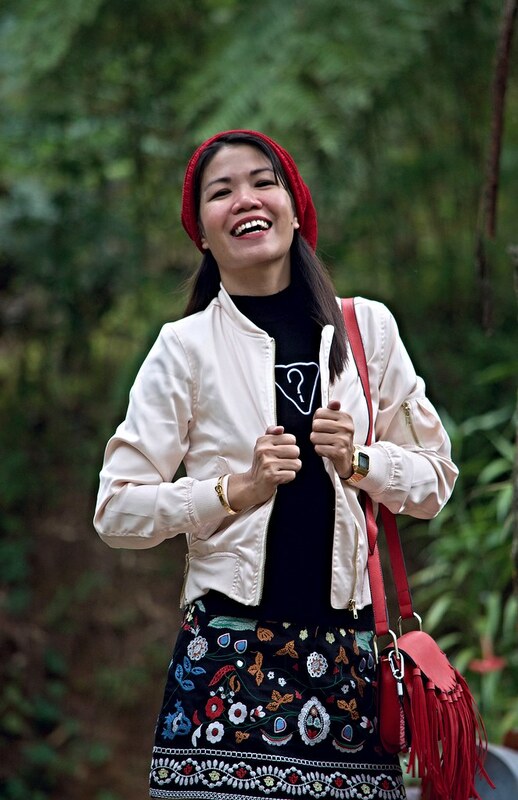 Anyway, I wore this zip details two pockets bomber jacket a few times during vacation and let me say it is one of my favorites now. I love how light weight this piece is but still works really great to protect me from occasional chills.